The 27th Annual Bojangles' Classic will take place on Friday and Saturday at Spring Valley High School. We'll be live streaming the event and you can view it here through your MileSplit Pro Subscription. COLUMBIA, SOUTH CAROLINA - The 27th Bojangles' Track & Field Classic will have a mix of young and veteran athletes racing to make history. This year marks the Classic's 27th year in the track world, but it will be a first for Meet Director John Jones. Just over a year after announcing his retirement from teaching and coaching this will be Jones' first year only wearing one hat - referee. "Track has always been my hobby and it will allow me to watch a little bit more of a great track meet." says Jones. Jones will have no problem searching for greatness this year as teams up and down the east coast are loaded with talent. 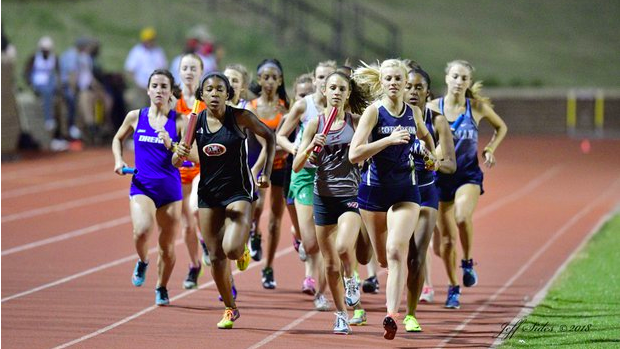 The meet is projected to have over 200 teams and over 2000 athletes competing this Friday and Saturday at historic Harry Parone Stadium located on the Spring Valley High School campus in Columbia, SC. Among these athletes are state champions, top national talent, national champions and many division one commits, including athletes heading to the University of South Carolina and Clemson. Future USC runners Kyna Robinson (Southeast Raleigh, NC), Kensi Gray (Hardin Valley, TN), Gatlin Lawson (Lugoff-Elgin, SC) Edward Richardson III (Bethel, VA) and Kori Carter (Nansemond River, VA), a Clemson commit, will debut their talents for the first time in the Palmetto State. These athletes have a chance to make the meets top 10 lists this weekend. Connections to the Palmetto State and athletes with big names also come from family members. The Boys 800-meter race is loaded with talent that includes Luke Spurrier (South Warren, KY), grandson of USC "Head Ball Coach" Steve Spurrier. Miguel Parrilla, runs with the legacy of his father, Jose Parrilla, 3-time NCAA Champion and 2-time Olympian (92'&96'). Parrilla will have a chance to break the meet record and will have 4 other D1 commits in the race. Parrilla, Georgetown commit Theo Woods (E.C. Glass, VA) and NC State commit Kyle Durham (Weddington, NC) will be the three favorites to win the title. The feature events on the weekend will be in the jumps which will include two National Champions both from the Tar Heel state. Omar McBride (Apex, NC), a Campbell University commit, will compete in both the High Jump and Triple jump. McBride is the defending New Balance Outdoor Champion in High Jump, previously clearing 7 feet and a quarter inch. Omar will have his work cut out for him in the Triple Jump, as he competes against talent that is "inching" to become the Bojangles' Champ in the event. Chris Alexander (Rocky River, NC) a NC State Commit placed 5th last year and his fellow western North Carolinian Kevin Snyder (Christ School, NC) a University of Miami commit placed 3rd last year. All three men will put on a show this Saturday. In the boys sprints events it's all local talent as the favorites like Quincy Riley (A.C. Flora, SC) committed to play football at Middle Tennessee State next year and Gatlin Lawson (Lugoff-Elgin, SC/USC) will be challenged by Virginia Tech football commit Jayden Payoute (L.C. Bird, VA). in the 100 meters. In the 200 meters Lawson will be challenged by Savien Hayes (Parkland, NC) a football standout, Charles Lewis (Sparkman, AL) a LSU commit and Emerson Douds (Weddington,NC) a Penn commit. The meet is no stranger to seeing meet records broken on Friday night during the 200 prelims. This could set up one loaded two heat final Saturday afternoon. Hopefully, this year an athlete can break the oldest meet record that was set back in 1991 by Norman Green of Sumter, SC. Tyler Graves (Lower Richland, SC) is seeded at Green's meet record of 13.80. Though this is a big feat as 2 athletes have previously broken it, only to find out that it was an illegal wind aided time. Will the track gods be kind to Graves and stop the wind long enough for him to add his name to Bojangles' History? "Having a meet of this caliber and bringing in this much top talent is unique to the city of Columbia and the state," Jones states. "I know it's a busy weekend with The Masters but if you're in town you don't want to miss athletes that are this special Friday and Saturday." Join Coach Jones and the rest of his Bojangles' Track & Field Classic meet staff this Friday starting at 5:30 pm and Saturday starting at 8:45 am.